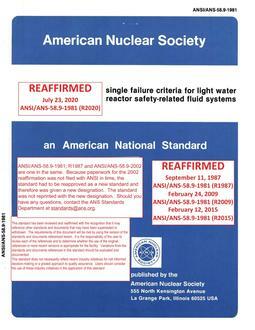 This standard provides criteria for the designer which interpret the requirements of Title 10, Code of Federal Regulations, Part 50, "Licensing of Production and Utilization Facilities," Appendix A, "General Design Criteria for Nuclear Power Plants," with respect to design against single failures in safety-related Light Water Reactor (LWR) fluid systems. Means of treating both active and passive failures are addressed for safety-related fluid systems following various initiating events. 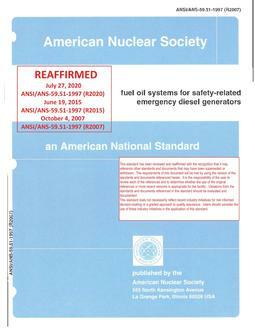 Current acceptable practice is used as a basis for these criteria.